Musical composition, the act of conceiving a piece of , the art of creating music, or the finished product. These meanings are interdependent and presume a tradition in which works exist as repeatable entities. In this sense, composition is necessarily distinct from . 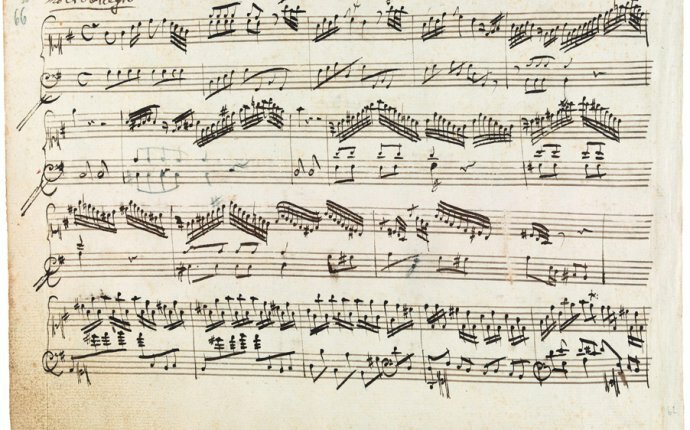 Whether referring to the process or to the completed work, composition implies the creation of a unique musical event that may or may not be based on original musical materials. At certain cultural levels and in many non-Western societies, unique performance characteristics tend to assume greater significance than composition itself. In oral traditions, related variants of common origin often take the place of unalterable musical entities, so that tune families rather than single autonomous tunes the collective repertoire. Where certain patterns of musical structure have gained broad recognition (as the ragas, or melody types, of India), musicians will as a rule rework such patterns extemporaneously though in accordance with prevailing conventions. European music was communicated orally well into the Middle Ages and received important stimuli from a variety of oral traditions even after had developed to a high degree of precision. Indeed, the lower population strata, especially in rural areas, never abandoned the relative freedom that comes from reliance on the ear alone, and the sophisticated music of the upper strata, throughout its rapid evolution, rarely severed its connection with altogether. Ultimately, the process of composition, as seen by the American musicologist Alan P. Merriam, does “not seem to differ radically between literate and non-literate peoples save in the question of writing.” As a conscious act of social communication it always “involves learning, is subject to public acceptance and rejection, and is therefore a part of the broad learning process which contributes, in turn, to the processes of stability and change.” Whether explicitly or not, composition is thus subject to rules that represent the stylistic consensus of a specific segment of society at a given stage of cultural development. During the Middle Ages, when man’s natural instincts were held in particularly low esteem, musical compositions were often judged primarily in terms of their adherence to the rules. Hence, the supreme authority in matters musical was the musicus as theorist; only he was considered sufficiently conversant with musical science to vouchsafe its continued existence as the sonorous embodiment of universal truths. And it was because the metaphysical properties of numbers were allegedly embedded in the rules of composition that music, on a par with arithmetic, geometry, and astronomy, attained and retained an honorable place as a constituent member of the quadrivium, the more exalted of the two divisions of the seven . Characteristically, music was not classified with grammar, rhetoric, and logic, the “rhetorical arts” gathered in the trivium. About 1300, musical composition as a mere craft was ranked by Johannes de Grocheo, a shrewd observer of the Parisian musical scene, with shoemaking and tanning.